We believe in expanding the impact of space-inspired technologies and are always looking for new ideas and collaborators for general safety, CBRN, military, firefighting, and other first-responders. Interested? Let us know! FFD has been developing space suits since 2006. Our latest, 4th generation garment features a single pressure layer, combining high-strength materials and low-torque mobility joints in a safe, light-weight, cost-efficient suit designed specifically for the needs of civilian space access. FFD was founded from a prize winning entry in NASA’s 2009 Astronaut Glove Challenge and we continue to specialize in this challenging part of space suit architecture. We're also developing spin-off PPE gear by translating our technology to relevant industries such as CBRN and to gloves for firefighters and other first-responders. We are actively seeking partners for collaboration and licensing and welcome inquiries. Looking ahead, FFD is currently maturing skintight technology known as mechanical counter pressure (MCP) which substitutes compressive elastic fibers for the traditional voluminous air pressure utilized in current in-service designs. 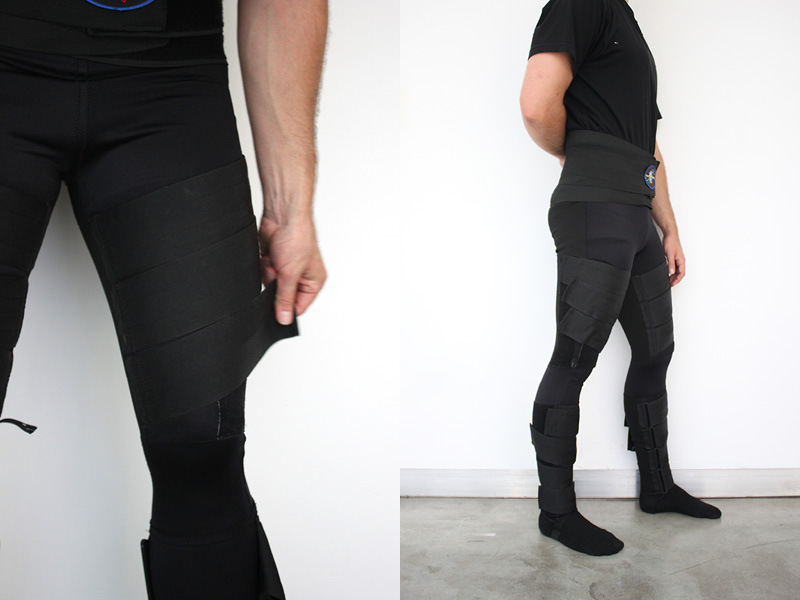 FFD has been developing multi-functional compression pants since 2012. Used as anti-G pants, these garments fit underneath a space suit to help prevent orthostatic intolerance during high-G portions of flight. Our current model has a similar range as medical garments, between 30-60 mmHg, and is also appropriate for medical use according to physician recommendations. FFD has extensive experience in high-fidelity reproductions of space suits and space gear, including historical garments and specialty educational cutaways. FFD lightweight comm caps are specially designed to accommodate a wide variety of user head sizes and user setups. Though intended for use inside a space suit, our comm caps are appropriate for any situation where you need a low-profile, secure connection to the cranium. Perfect for gamers, aviators, extreme sports, and enthusiasts alike. 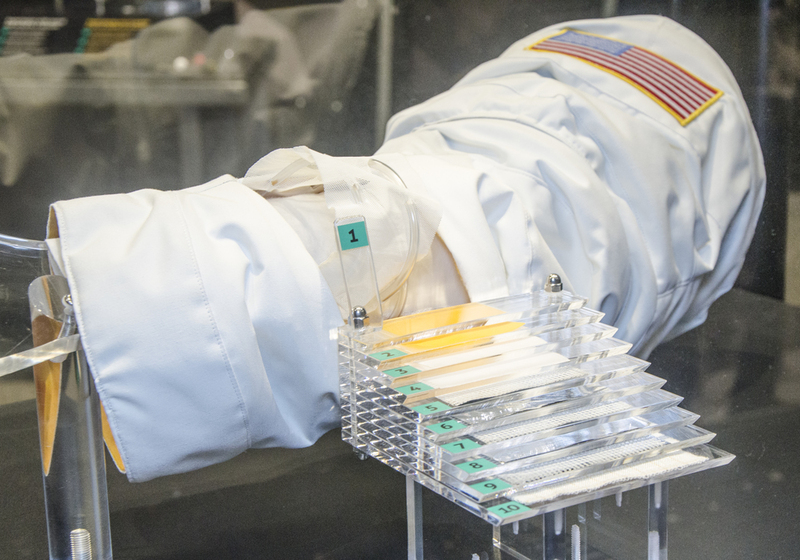 NASA, gov't contractors, and other large scale institutions come to us for our ability to research and develop functioning prototypes quickly and effectively. Recent work includes RadFlexPro graded Z fabric shielding, Cubesat R&D for shielding & deployment, and components for high pressure EVA space suits. Have an R&D project in mind? Let us know!